Last week, I got a piece of very exciting news from a wonderful writer, K.L. Branson over at Kate’s Bookshelf. I read Kate’s blog whenever I’m in need of some inspiration, a good book to read, an occasional dose of poetry, or a quick dose of flash fiction. This week I was honored to discover that Kate likes my blog too, enough to give me the 7×7 Link Award. And to all my readers, I highly recommend checking out Kate’s blogs. She has two: Kate’s Bookshelf, which chronicles her love for books, and Escaping the Inkwell, which is dedicated to her writing life. I read and enjoy both. The award rules state that I need to share one thing about myself that you don’t know. I can’t think of what that one very interesting thing might be, so like poor Miss Bates in Emma I shall have to settle for telling you three very dull things indeed. I have been collecting Jane Austen fan fiction for almost a decade now. For a while I kept the books on two bookshelves–one for the books I’ve read and one for those I haven’t–but since my husband and I rearranged all of our books by color last summer, the books have gotten scattered throughout the house like the pearls of happiness that they often (although sadly not always) are. I also virtually collect old Jane Austen films (by which I mean that I try to see as many of them as I can, although I don’t feel the need to actually own them). I get quite worked up about them too. 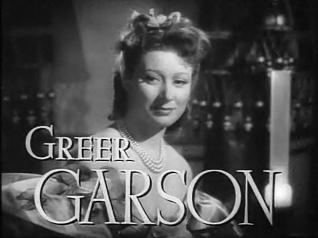 It’s been at least seven years since I last saw the 1940s version of Pride & Prejudice with Greer Garson, but when I think of the desecration… As this is a family blog, I’ll simply say that I am still appalled that they had to rewrite Pride & Prejudice because the original ending wasn’t happy enough for Hollywood in 1940. And now for the fun part: giving the 7×7 Link Award to others. Even when MaryAnn McKibben Dana hasn’t somehow managed to get completely into my head (witness the fact that we both posted about seeking out nature in the suburbs last week), she still manages to minister to me. If I lived anywhere near her, I would totally join Tiny Church. For now, I’ll have to settle for daily visits to The Blue Room. I randomly picked up Karleen Koen’s book Through a Glass Darkly on my wanderings through a used bookstore some years ago. It sat on my shelf, looking lovely and somewhat forlorn for about 2 years, until I broke down and read it. Then I read another. And another. And then I discovered that Karleen had a blog. So I follow it. And reading it reminds me of why I love her writing. Her writing stays with you. I still think about the characters in her novels, even though it’s been months since I read them. Her blog posts are short, lovely, and inspiring in the “I want to pick up my own pen and write something now” way. I read a lot of blogs by writers, and very few of them have that effect on me. Karleen’s does. Glennon Melton is open and honest about her joys and struggles as a mother, wife, writer, and woman. Reading her blog refreshes me. The chronicles of Zoe Toft, a mother of two and a woman who inspires me to do more than simply read books with The Four-Year-Old. She’s at least partially responsible for the creation of the Caterpickles Field Guide, and for my sending my nieces three hand-knit penguins along with their Christmas edition of Mr. Popper’s Penguins, so that they could, as Zoe puts it, “continue the game” of reading. I’ve mentioned Susan at The Sky Is Laughing here before. Remember? She’s the woman who gave me the idea to interview The Four-Year-Old. I first discovered Susan’s blog through a mention on The Blue Room. Since then I’ve returned to it again and again. Want to know why? Read Magic Penny. The domestic adventures of a woman and her cat Pudding, husband Sparks, and daughter Amelia. I love this blog because it is full of writing like this: A Beautiful Life. Old Jules is cranky, irreverent, practical, and funny all at once. I am particularly fond of his White Trash Repairs, but I’ll happily read anything he writes when I’m missing my life in Texas. Wow, what a lovely award! Thank you so much for passing it on to me. I shall be sure to accept and pass it onwards 🙂 And great to hear you’re hoping to take part in International Book Giving Day – we’d love to have you on board!